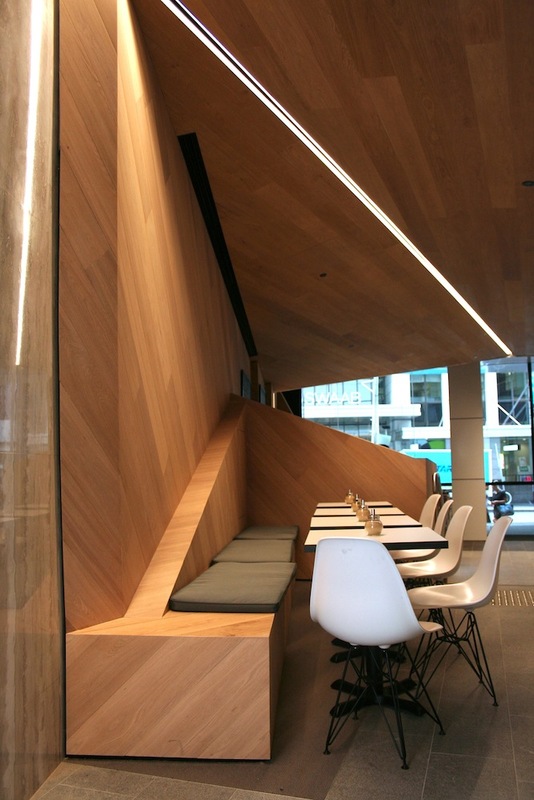 The cafe is built in the heart of Sydney as part of a lobby refurbishment previously carried on by the owners. The cafe take inspiration and lead form the lobby works. The shapes, angular walls and materials are designed to match the ceiling lobby and its surrounding. 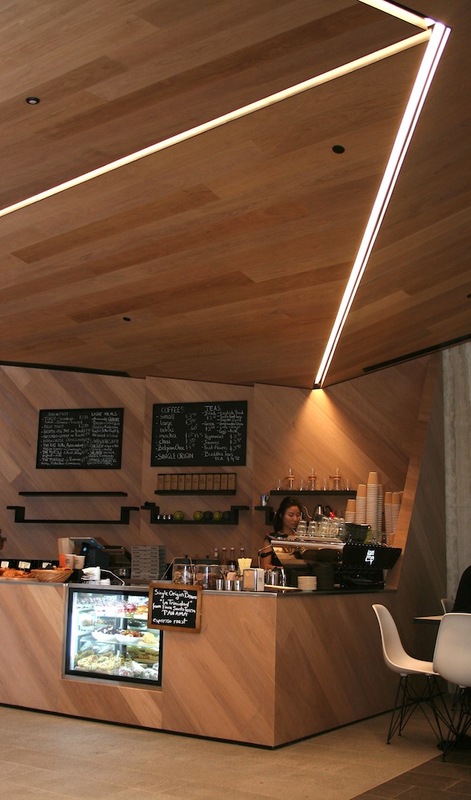 The cafe is now the third francise built for the brand ‘Scuro Coffee’.